Industry certifications through HITRUST, ISO and SOC 2 act as a seal of trustworthiness in this uneasy world of daily data breaches. Cyberattacks, unauthorized access and the very portability of mobile devices place sensitive data at risk nearly every second. Increasingly, clients in every industry ask that their business partners meet or exceed the same regulatory requirements and guidance that they do. Certification readiness is key. Our clients are most frequently going for either the HITRUST, ISO 27001 or SOC 2 certifications. Each certification has similar controls and requirements, with SOC and ISO being remarkably equal, and HITRUST intensifying the “How” requirements are met. We do what the auditing firms can’t. 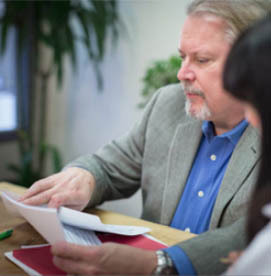 Each certification has its own auditors: CPAs, auditors specifically trained in proprietary framework and the like. Because of the need to remain objective and avoid any conflicts of interest, they aren’t able to provide recommendations or assistance on what your organization needs to do to comply. We can. 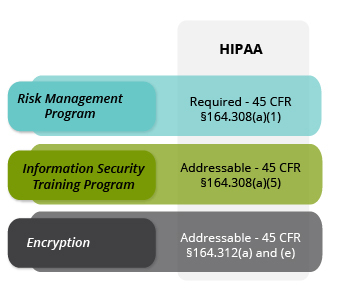 requirements you may be expected to meet, and the relevant certification. Who Goes for What Certifications? 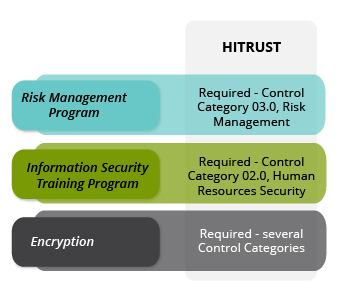 HITRUST: The Health Information Trust Alliance that has established a Common Security Framework (CSF) that can be used by all organizations that create, access, store or exchange sensitive and/or regulated data. Sought after by healthcare providers, health plans and the vendors that support them. ISO/IEC 27001: Specifies a management system that is intended to bring information security under management control and gives specific requirements. Any industry sector, although you primarily see it in financial and healthcare. SOC 2: Focuses on controls at a service organization relevant to security, availability, processing integrity confidentiality, or privacy. A SOC 2 type 2 report also adds a historical element, showing that controls were managed over time. 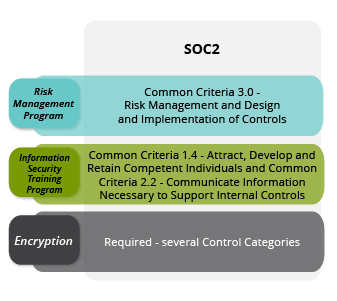 SOC, ISO & HITRUST certifications require similar controls and requirements, only differing in number.